What is referred to as TemproMandibular Joint? The hinge joint of the jaw is commonly known as TemporoMandibular Joint or TMJ. It is the connective joint between the lower jawbone and the temporal bone of the skull. Being flexible, these joints help in the smooth movement of the jaw. What contributes to TemporoMandibular Disorders (TMD)? The actual cause of TMD still remains unclear, although some dentists believe that problems with the muscles or joints of the jaw lead to this condition. What are the symptoms associated with TMD? Temporary or long-lasting pain and discomfort is usually seen in individuals suffering from TMD. Individuals between the age of 20 and 40, especially women, are commonly affected with TMD. How can TMD be diagnosed? Till now, no standard test for diagnosing TMJ disorders has been discovered. As the symptoms of TMD are similar to many other health disorders, the history of the patient is carefully analysed along with a proper physical examination to determine the actual cause of the symptoms. Some common symptoms include toothache, arthritis, gum disease, etc. During the physical examination, the dentist conducts X-rays, MRI scans to detect any abnormality in the jaw position or to get more details about the bone of the joints. If any further care or treatment is needed, then the dentist may recommend an oral surgeon (oral and maxillofacial surgeon). What are the treatments available for TMD? TMD affected people can be treated either with conservative and self-care procedures or in some case surgery may be opted. Doctors recommend to treat the patients with conservative methods and only if condition worsens surgery is chosen as a resort. Use of moist heat or cold packs: Doctors recommend to apply ice packs on either side of the face and the temple area for a few minutes. Applying warm towel over the face after a few hours of jaw exercise helps to rejuvenate the overall body health. Intake of soft food: Inorder to reduce the amount of chewing required, the patient is advised to eat soft foods such as cottage cheese, beans, fish, yogurt, fruits, etc. Large, hard and crunchy foods, which requires wide mouth opening should be completely avoided. Medications: Nonsteroidal anti-inflammatory drugs (NSAIDs) such as ibuprofen (Aleve, Advil) or naproxen, can help relieve muscle pain. Anti-anxiety medications are recommended by dentist to reduce stress, which may otherwise enrage TMD. All these medications should only be taken under the strict observance of the doctor. Low-level laser therapy:This therapy helps in reducing the pain and swelling, as well as increases the range of motion of various body parts. Wear a splint or night guard: Doctors advise to protect upper and lower teeth with splints and night guards. These plastic mouth-pieces reduce the effects of teeth grinding or clenching, and prevents upper and lower teeth from coming together. The also help to correct the bite problems. Restrain extreme jaw movements: Extreme jaw movement, such as singing or yelling, as well as continuous yawing and chewing should be restrained. Relaxation techniques: The muscle tension in the jaw can be controlled with the help of some relaxation or stress-reducing therapies such as bio-feedback. Transcutaneous Electrical Nerve Stimulation (TENS): In this therapy, low-level electrical currents are used, which help the jaw joint and facial muscles to relax and relieves pain. Ultrasound: The soreness due to TMD can be relieved with deep heat ultrasound treatment. Also they help to improve the mobility. Trigger-point injections: In order to relieve pain, the tender facial muscles called “ trigger points” are injected with pain medication or anesthesia. Radio wave therapy: This therapy involves the creation of a low-level electrical stimulation to the joint. This stimulation helps to increase the blood flow as well as relieves pain. If TMD patients fail to respond to all other treatments, then surgery is chosen as the last alternative. As surgery is irreversible, so opinions from other dentist is recommended. Arthrocentesis: This minor procedure is always performed in the dental office, under general anesthesia. It is opted only in severe closed-lock cases, where the jaw movement is completely restricted. During the surgery, the needles are inserted within the affected joint and the joint is washed out with sterile fluids. Arthroscopy: The patient is first administered general anesthesia. Then, a small incision is made in the front portion of the ear to insert a thin instrument containing a lens and light. This instrument hooked up to a video system, provides a clear picture of the TMj and the surrounding areas. Depending upon the actual cause of TMD, the surgeon may either remove the inflamed tissue, or realigns the disc or condyle. Sedation dentistry is a common medical procedure, which is used by the dentist during potentially painful or lengthy surgery. The medications in this procedure tend to put the patient in a relaxed and comfortable state as the surgery is carried out. As a result, the patient does not experience the usual stress or tension which they are likely feel during a dental procedure. Sedation helps to make the procedure easier for the dentist and reduces the number of sessions. Therefore, it is considered to be an ideal solution for people suffering from dental phobia. Nitrous Oxide– In case of mild to moderate degree of dental sedation, the nitrous oxide is in high demand. A mask is placed over the nose to administer this gas. This gas may take the person into a dreamy state and he/she may start to laugh. This gives the nickname ‘laughing gas’ to nitrous oxide. However, the effects vanish within a few minutes after the procedure completes. The person is expected to recover at a high-speed. Oral Sedation– In oral sedation method, the medications are rendered to the patient before the procedure starts to give a relaxed feeling. The dosage and its effect vary for every individual. With oral dentistry, the recovery time becomes longer. IV Sedation– It is a moderate form of dental sedation, where the medicines are administered intravenously (in the veins). Unlike oral sedation, the effects are felt much quicker. 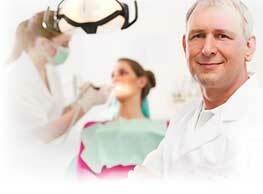 The level of sedation is usually adjusted by the dentist as per the need of the patient. With every sedation method, a small quantity of local anesthesia is also administered to ensure that the procedure is completely painless. The deep sedative dentistry is the last resort for those people who does not respond to other sedation methods. General anesthesia, unlike other sedation dentistry methods, puts the patient into a deep sleep as the surgery is carried out. The person is awakened from sleep only after the effects of the sedation go off. The anesthesiologist or oral surgeon are the only one who is capable of administering general anesthesia. Assisted breathing is a common risk involved with the use of general anesthesia.